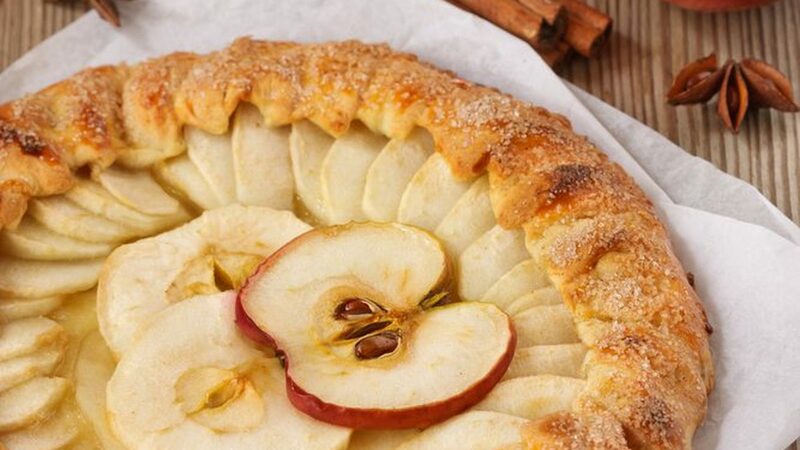 If you like apple pies, then we have something really special for you today. Following instructions in the recipe below will lead you to a visually attractive dish which also tastes great. 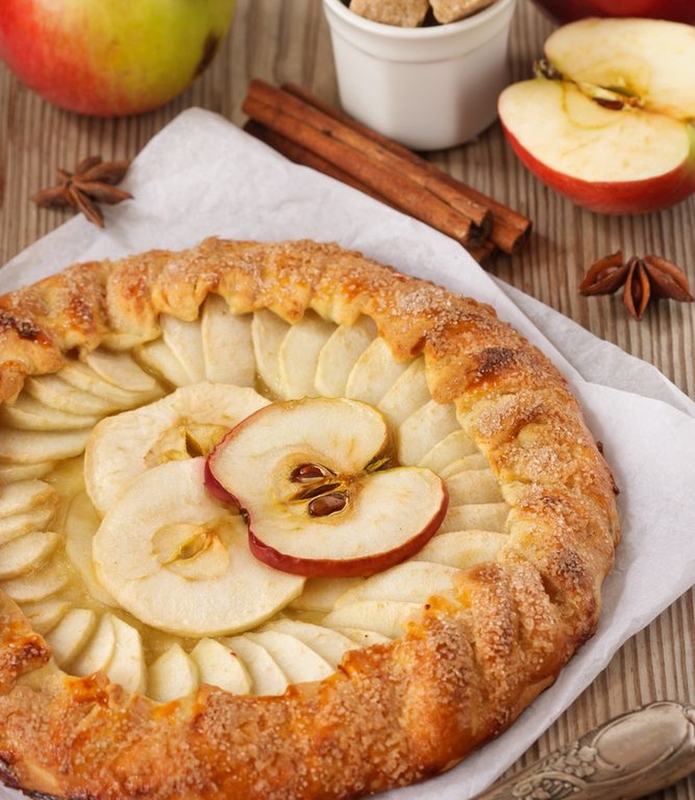 Serve this crusty apple pie when you want to impress your guests at the table. Well, serve it for yourself alone as well. You won’t be sorry in any case. Heat the oven to 190°C, and prepare to make a fantastic crust of your pie. Mix the flour with salt in a large bowl. Add butter and cooking grease. Use dough cutter to form a nice piece of semolina. Beat the yolk using a fork, and add to the compound. The next step is to pour some cold water combined with vinegar. Knead the compound and slice it to two halves- one for each crust. In a separate bowl of equally large dimensions, mix apples, brown and white sugar, flour and salt. Granny Smith apples are a good choice. Squeeze the lemon juice from the fruit. Use kitchen roller to form large circles from the dough. Be patient during this procedure, because it will take a while. Use movement from center towards the edge of the dough. Be bold, and don’t stop rolling- hesitation might influence the texture of the crusty apple pie. Put the apple stuffing atop the dough halves in equal measures. Fold the corners and cover the dough with butter. Put in the oven and wait until the stuffing becomes foamy. This will take approximately 30 minutes. If the outer brinks go brown before that time, put the aluminum foil atop of these. Once the crusty apple pie is finished, leave if for a few minutes to cool down. You may want to cut it with a rolling pizza knife.